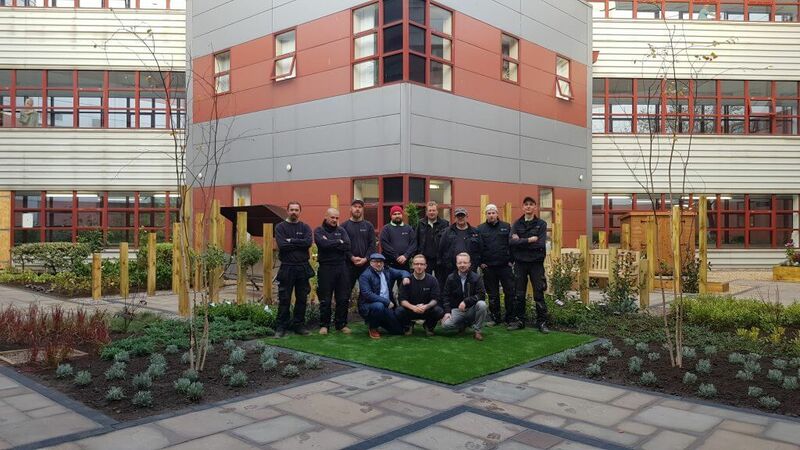 In October 2018 Landscape Brothers took part in a project started by Queen Margaret Hospice Garden Group. 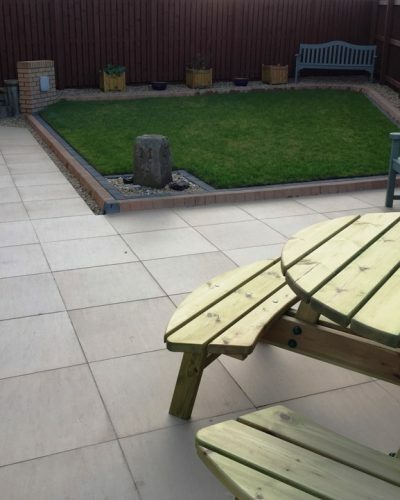 They wanted to build a garden for patients of the Queen Margaret Hospice in Dunfermline. So far the building had an unused courtyard that didn’t look very attractive. The patients didn’t have space where they could walk and have contact with nature, therefore, they felt isolated from the outside world. Anne Morton from Dalgety Bay came up with the idea when she was visiting her relative and friend who lost their battles with cancer. She saw a grandfather trying to occupy his grandchildren while visiting their mother. She asked a nurse if there’s an outdoor space where children could spend some time but she was told there wasn’t. Anne decided to change that. In September 2017 the group and the NHS Fife staff had a meeting to talk about the garden, and the fundraising started. The group managed to collect £32,500 but in May 2018 there was an appeal published asking for help from Press. Altogether, they collected £50,000 coming from donations from individuals, businesses and press readers. Works started in September 2018. 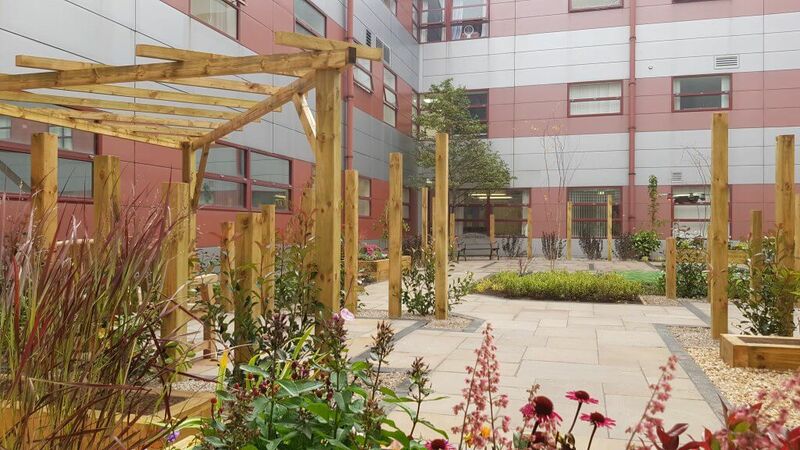 Landscape Brothers collaborated with Queen Margaret Hospice Garden Group and the NHS Fife staff to design the garden for the patients. The design included an access for beds and wheelchairs to allow patients to rest outdoors surrounded by nature. It’s proven that spending time this way improves mental health, therefore, a place where patients can spend time with their family and friends can definitely bring some comfort in their final days. 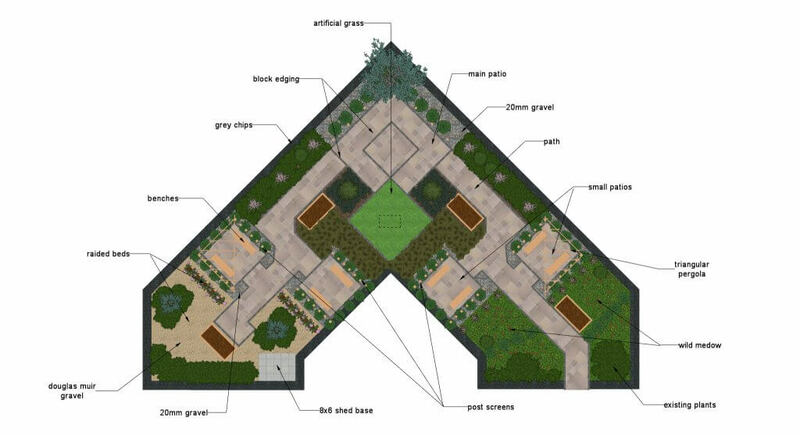 The design also included four raised flower beds and four separate sitting areas in different parts of the garden. Flower beds were raised to give patients the opportunity to take care of the plants. The garden includes a few patios, benches, a shed and post screens. 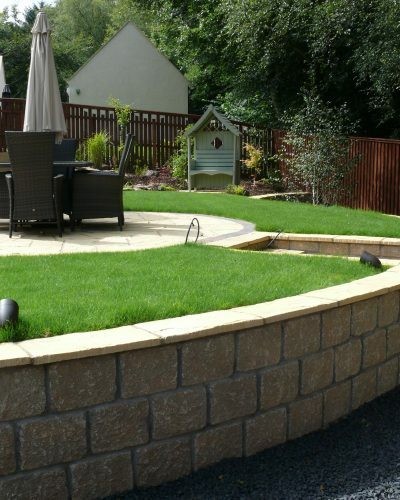 Artificial grass, gravel, triangular pergola and block edging where used to give the area a unique look. Landscape Brothers finished their work in October and Cathy Simpson from Lochgelly cut the ribbon in memory of her son Stevie who spent his last days in the hospice. Additionally, there are also plans to install a sculpture inspired by the anchor at St David’s Harbour at Dalgety Bay. Landscape Brothers admitted that it was something different for them as they usually worked on private or commercial projects. They wanted to give the garden a private feeling so that patients feel comfortable. They also said they enjoyed the work and received a lot of support from Queen Margaret Hospice Garden Group.